Basscoast Saunasessions & Woodhead live at Slay Bay! Get Sauna Dismount - Kiuasturvat! Review: "Having previously appeared on Homebreakin' records, it was probably only a matter of time before Vancouver's Darren Woodhead popped up on Montreal's Editorial Records. Next To You is a typically cheery, floor-friendly EP, blending classic funk, soul disco and boogie samples with subtle house and breaks grooves. As a result, there's plenty to excite, from the jazzy guitar solos and sun-kissed disco grooves of "You Blew It", to the dreamy electrofunk shuffle of "So Devine". Those in search of straight-up dancefloor dynamite should head for opener "Party Hearty", a swinging, good-time funk/nu-disco hybrid featuring rubbery bass and razor-sharp horns aplenty." 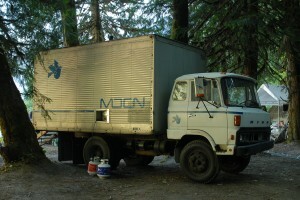 The BCMSS is a sauna society based in Vancouver, BC. We host sauna sessions and operate our mobile saunas. 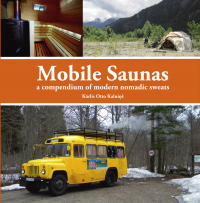 lots of other mobile saunas and a Mobile Sauna book! BCMSS is a community supported wellness project, we depend on your contributions. Road To Shambhala 2013 Video featuring music by Clyphs out today! Bass Coast 2015 Line-up released! FOXING DAY at @FoxCabaret Tonight! DEEPER LOVE @ 1216 Bute St. feat. Neighbour, BIKES & Woodhead Tonight!